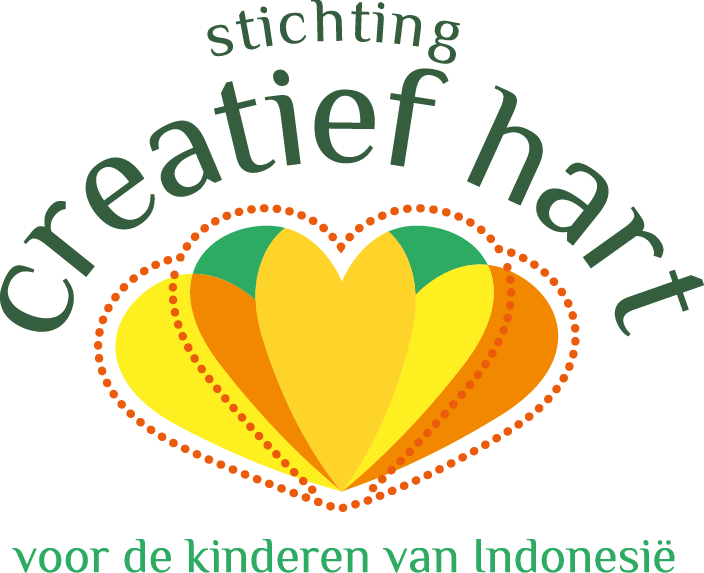 We, the board of the Creative Heart foundation, have been busy establishing a Creative Educational Centre in northern Bali where impaired children between the ages of 8 to 21 can follow (intense) creative education. The foundation was brought to life for this goal. We researched if creative education would be received positively by the target group, as well as what the potential effect would be. Since its inception in 2013, the foundation has organized several creative projects in shelters in Indonesia – all to good result. In October 2018, Dewi (founder / chairman) will climb the Kilimanjaro as a fundraising for the continuity of the Creative Educational Center. It’s common for handicapped children in Indonesia to be excluded from society. You barely see physically-impaired children on the streets. Parents are often ashamed and struggle with the feeling that their child has nothing to offer for the household, or can help with family care. Lots of handicapped children need surgery or aides to help with their daily lives – things their parents often cannot afford. It’s common for parents to be working the whole day, leaving little time to care for a special-needs child. Generally speaking roads, sidewalks and streets are not accessible to handicapped people. In our opinion, the Indonesia government doesn’t do enough to facilitate the disabled with handicapped-friendly provisions. Support for handicapped children often comes from private initiatives – not governmental ones. In Indonesia you’re already considered handicapped if you have a deformed arm, or can’t walk well. Some children are off worse, physically, or have a mental disability, down syndrome or other disabilities like being slow in learning. Naturally, this doesn’t mean these children can’t do anything. Creativity rests in every child. Can that be useful for the children themselves and society as a whole? Most definitely. During our projects, kids showed progress in a variety of aspects when they approached them creatively. You don’t need scientific research or backing to come to these conclusions – observing them is enough. We’ve concluded that creative education has a positive effect on personal growth, finer motoric skills and all sorts of social skills. We’ve done elaborate research to realize this sustainable project. We’re convinced that the foundation is ready to shape the plans for creative education. We’re going to found a creative centre where children will learn to make handmade, sustainable things. They – or really, their parents – have no cost in this. We do want to stimulate parents to allow their children to partake in creative education. It’s a centre for children of varying age and learning ability. Children that can handle more, physically and/or mentally, will learn to make useful, sustainable objects and furniture. We’ll create a shop in the front of the creative centre, meant especially for the children. There they’ll be able to sell the handmade objects themselves. They get to keep the income. This is how they’ll learn to be economically self-reliant. It’d be great if they learn to save money too. Younger children, or those on a lower mental level, will first learn the basic of creative work. They’ll take the time to grow in order to eventually reach the point where they too can sell their ware in the store. We also want to teach them English in a playful way, among other lessons in social manners and skills. This will help bolster their sales skills and give them a push in the right direction. Especially for older children we find this a valuable combination, meant to increase their (employment) chances in Indonesian society. We’re aware that some children suffer from forms of debilitation too severe to generate an income for themselves, or care for their family. Even so we welcome them with open arms. They too deserve a creative life and no matter how small, it will contribute to their wellbeing. A financial contribution for this sustainable social project is of course very welcome! In August 2018 we’ll procure a location to do lesson try-outs. We’ll start with one or two small groups of children. We’ll gradually increase the groups’ sizes. For those who want to know more about this project, please read more. The creative lessons will be taught in combination with ergotherapy, to increase body movement and finer-motoric skills. Ergotherapy is a paramedical discipline that aims to enable daily-necessary movement among people with disease or physical and/or mental impairment. This ergotherapy is a complementary offering to the therapeutical centres already in the environment and can prove to be very valuable for the creative centre. We also want to use music therapy whiche helps to improve the quality of life of the children. We want to grant these children the chance to be more self-reliant and have them buy their own food and drink, and even contribute for the family. In Bali it’s normal for everyone in the family to have a specific task. Disabled children are quickly swept aside in Indonesian society, thought to not be able to contribute. For example: A child underwent surgery and didn’t receive enough tutelage during revalidation. We want to intervene with a plan so that this child doesn’t end up on the streets. We also want to show the parents what their children can do. During our projects we’ve seen parents dumbfounded – they never expected a child with a physical disability to create something. We’ve also witnessed parents helping out with the lessons. During a crochet workshop for children we saw mothers join in, help and talk to each other. There’s a high chance for parents to witness the value of creative education if they experience their children being able to generate their own income, and mean something to the family. This also sparks conversation among themselves and their environment. We also want to involve the district head. The local personnel of the creative centre can spread the positive effects of the creative centre to the municipality. In the north of Bali is Lovina, down by the beach. In and around Lovina are multiple foundations that help disadvantaged children with a physical or mental disability. These foundations do incredible work, but none of them structurally offer creative education. That’s why the creative centre would be complementary to what is already there. There are also children that are greatly behind on learning. They would receive education in a (special) primary school, but we want to increase their level to match their goals and offer them the chance for increased development. Creative education helps. We hope to form a collaboration with nearby foundations, which is why the location for the creative centre is advantageous. Through this, the foundations’ goals can be an extension of previously-existing goals. Another bonus is that northern Bali is an attractive location for rent. It’s less expensive than the south (Kuta, Ubud, etc.). Because it’s more spacious, receiving a construction permit is also easier. In September 017 we met Kadekkie, of PT. DUMUARA INT’L GROUP. This project developer is helping us found the creative centre and is offering one of his premises, in a perfect location. In this location Kadekkie will build an annex of material. We will thus be expanding in phases. August 2018 will see phase one, where we make use of the already built location. Kadekkie wants to be involved in this project. Between 1998 and 2004 he was sponsored by a Dutch couple, granting him the opportunity to study at university. The Dutch couple have been living with Kadekkie and his family on a compound not far from the creative centre. ‘This is my way of giving back’ said Kadekkie. We’re holding accounts with accessibility and reachability, and also the location of other foundations that we can collaborate with. Naturally the building is handicapped-friendly and safe for children. We’ve made a functional layout because the building needs multiple facilities housed in one. ● We want to maintain control and house all creative education under one roof, also to benefit continuity. Look at it as a form of art academy, but for children with a disability. We’re also taking an environmentally-friendly approach in the construction of the building, but also in giving the creative lessons. We will be recycling plastic, rubber, paper and more. The creative centre offers workspace for local personnel. This benefits employment opportunities in Lovina. We will be responsible in the treatment of personnel and request advice from relevant companies in this matter. Not because we don’t know how to deal with personnel, but because we want to show the outside world how to be a responsible foundation with an honest manner of business. We want to offer children with a disability the chance to develop and show the outside world that they, in spite of their disability, are relevant and can contribute to the Indonesian economy and society. The creative centre will be of high societal value within the Northern-Balinese community. We need financing to be able to start. This is why we embrace the try-out opportunity. In August 2018 we’ll start and the creative centre will be built up in phases. The coming period we will be intensely active in procuring funds for the continuity of the creative centre. The yearly pan and full financial accounting will always be present on our website, according to ANBI rules. We are transparent with all funds coming in and going out. On the sponsor and donation page we will name the people and companies that have donated. We realise that a large amount of money is required to start. Not just an initial amount, but also a continuous cash flow is necessary. Every amount we receive is necessary. We procure funds with other organizations, corporations, governments and foundations. Every donator (company, foundation or person) can opt to show why a donation has been made. The donation will then be put to use expressly for that purpose. Financial year reports will clearly show what donations have been used for. If requested we can offer the donator a separate financial statement. We have recurring donators and organize fundraisers ourselves. From half-marathons to climbing the Mount Everest Basecamp and the upcoming challenge, climbing the Kilimanjaro in October 2018. Naturally you can sponsor the Kilimanjaro charity-challenge. We have found Indonesians that are prepared to support us through free help or construction at lower tariffs. When we are further along the project and name recognition has been increased in northern Bali, we’ll aim for sustainable relationships and networks in order to also procure finances from Indonesia itself.